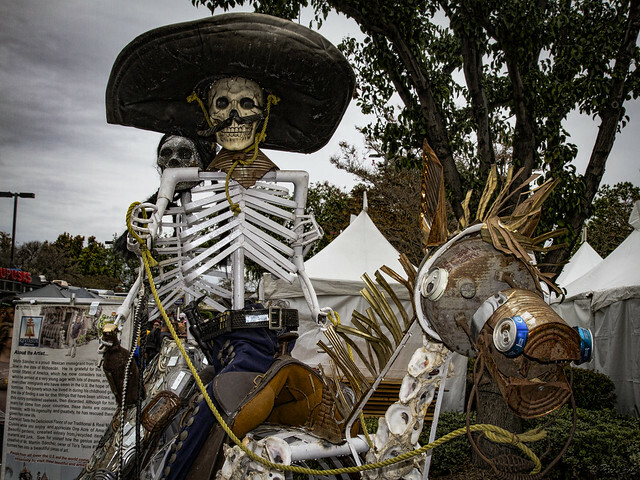 The Dia de los Muertos Festival wasn't just for kids. There was a shopping section with lots of souvenirs, a food truck section with a huge selection of foods, and—my favorite—the Urban Art Alley. This horse and two riders was created by Martin Sánchez, who immigrated here as a child from a small town in Mexico. Sánchez gives ingenious and creative new life to everyday things that have been used and then discarded. 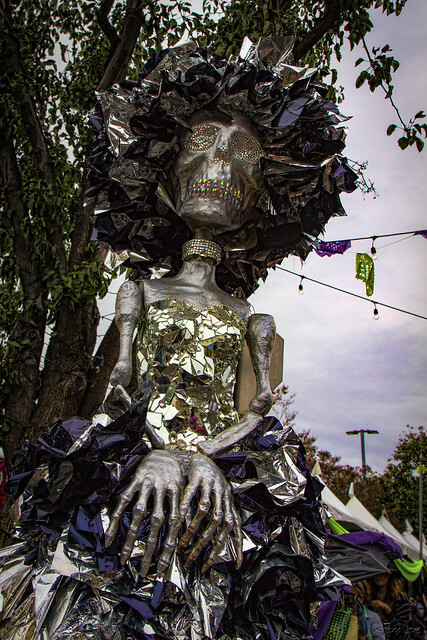 There was also an all-metal Catrina figure that stood about 10 feet tall.